Beautiful workspaces that offers teams of any size an incredible work environment for a fraction of what it would cost to set up independently. Hot desk. Private office. Virtual Office. Dedicated desk. BUILD THE FUTURE OF LOGISTICS HERE! BOS Business Center is a fully furnished, ready-to-go office space with plug-in business centers for all budgets. The perfect co-working space for companies and individuals serving the logistics ecosystem in Miami. BOS Business Center main entrance. A fully-furnished space of your own, that fits up to 8 people. Access to any available desk in the common area. Sit at any desk, table or common area. With screens, whiteboards & video conferencing. Everything you need to work with your remote teams and customers. Ideally for solopreneurs or small size teams. Private office, perfect for teams of 3-4 people. "Everything I need to grow my logistics business in Florida, for one affordable, simple price"
Free and designated parking space. Office reception and small break-out area. Mail received by our reception staff. Access to administrative support, to help with tasks like document collation or arranging couriers. Access to a printer, scanner and photocopier. Secure, business-grade internet and WiFi. Scale your workspace up or down as needed. 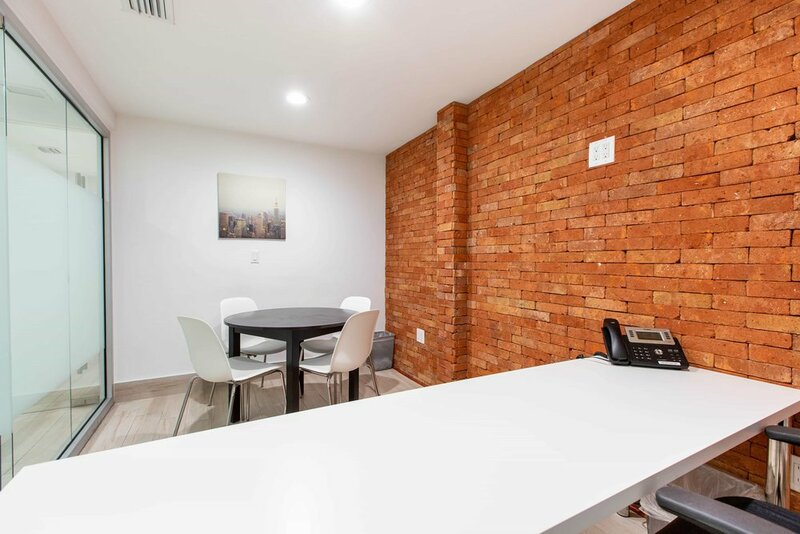 Modern, fully-furnished offices in a professional business environment. Our offices range in size from smaller, affordable offices to large corner office suites. We are conveniently located next to a warehouse. And less than 10 minutes from Miami International Airport and 2 miles away from Downtown Miami. 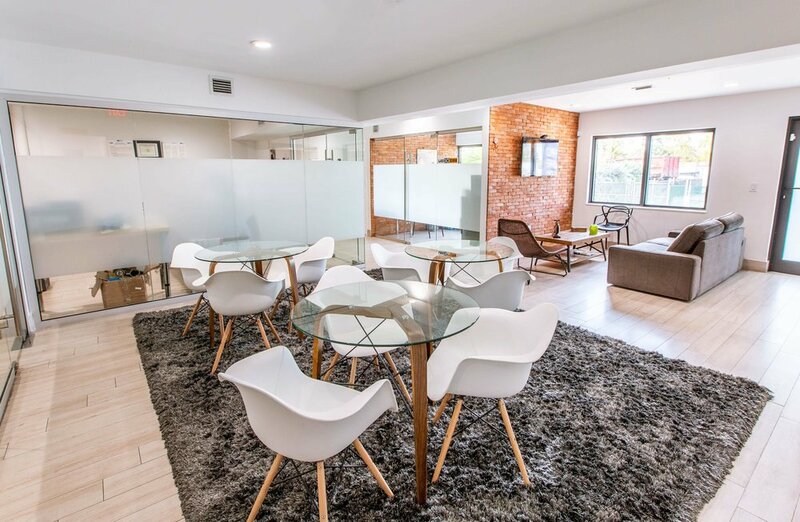 Located in Miami Florida's main industrial district, BOS Business Center provides modern and innovative private offices which can accommodate anywhere from one to eight people. We have everything you need to start or grow your logistics company, for one affordable, simple price. Whatever size of office you choose, all of this is included with your monthly fee. Members receive special promotions on every BOS service (Warehouse and Transportation). 5% off when using QuickLoad, a Smart Truckers Network that brings efficiency to the logistics industry. Medium size office, perfect for small businesses that constantly have customers or partners visiting. Social area, great for quick meetings, interviews, snack or lunch breaks. Stand-up meeting areas.Ideal when need to have a quick phone call. Medium size office with small conference table. Address: 2792 NW 24th Street, Miami, FL. 33142.